Laag-Laag sa Cebu (Part 12): Why Cebuanos Call Mama Mary as Birhen sa Regla? 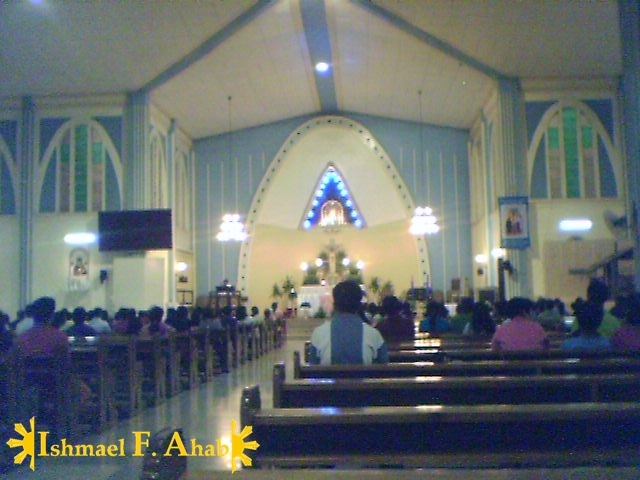 There is one church on Mactan Island that piqued my curiosity during my first visit to the Province of Cebu. That church is dedicated to the Virgin Mary under the title of “Birhen sa Regla”. “Why regla?”, I asked. Is Mama Mary a patron saint for ladies suffering dysmenorrhea and pains related to menstruation? Is regla the Cebuano word for blood? These questions popped to my mind because we Tagalogs define regla as menstruation. I didn’t find having a patron saint for ladies suffering menstrual pains implausible because the Catholic Church has many saints for “random” and “weird” things. An example would be St. Eligius who is the patron saint of gas station and garage workers. In fact, there is a saint who is called upon during menstrual cramps. He is a guy and the general of the Theban Legion named Maurice. A little Google search revealed that my assumption that regla means menstruation is wrong. Regla is actually an abbreviation of the Spanish word reglamento, which means rule. In short Birhen sa Regla is Our Lady of the Rule in English. The veneration of Our Lady of the Rule was said to be begun by St. Augustine. According to tradition, St. Augustine has an image of a black Virgin Mary and through that image the saint received the rule that he used to guide his monastic community. The islands of Cebu and Mactan were placed under the care of the Augustinians. Thus, it is not surprising that they brought the veneration of the Birhen sa Regla to the islands. The veneration became so popular that the people of Opon (the old name of Lapu-Lapu City) has a big fiesta honoring the black virgin. The image of Birhen sa Regla was so dear to the people that they offer their precious jewelries for every answered prayer. The image was adorned by precious things until the parish priest decided to remove it after a robbery incident. I was so oblivious of the fame of the Birhen sa Regla that I didn’t even know that the church where I attended a Sunday mass during my first visit to Cebu housed her famous image! As newbie collector of Marian images, I found the image of Birhen sa Regla in Cebu unique to the many Marian images that I saw in this archipelago. I considered her as a defining image of Cebu. I brought home an image of the Birhen sa Regla and she is now placed in our living room. What I like with this image is that she holds another image that is so popular in Cebu. And that is the image of the Santo Niño. Read more of my latest adventure in the island of Cebu! Interesting post. Lovely church indeed, so very nice! Warm greetings! This is something new to me. I learned something new here today. I am glad that you learned something new.